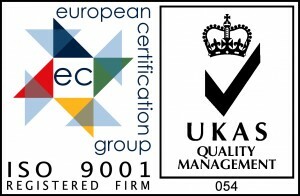 The company supports the local community in several ways. We are always keen to showcase the work which is taking place on site and in doing so dispel the common belief that Wheal Jane is simply an abandoned mine site! As we enter 2018, we reflect on another successful year of engagement with the education sector at Wheal Jane. A number of university and college course groups have become regular annual visitors, coming from both local and UK-wide educational establishments. Courses being studied, for which Wheal Jane provides an interesting ‘case study’ , include Renewable Energy, Environmental Resource Management, Forensic Science and Land Management. 2017 saw a further extension to this program with the first group of ‘Design’ students from Falmouth University and the first Italian language students from the Mercator Language school in St Austell. The businesses and projects based at Wheal Jane involve many topics covered within a wide variety of study courses. Students have an opportunity to experience, almost hands-on, how their topics of interest work in a complex project, and a live and developing business environment. Beyond the special relevance that the site holds for students it is also of great interest to other community groups, clubs and societies. These include historical and general interest organisations, business clubs and special interest groups who all find something of particular interest or fascination. 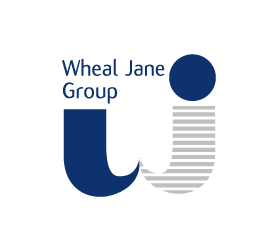 A number of small groups of local business people have also taken up invitations to visit Wheal Jane to raise awareness of the services available from companies based on site and to understand more of the developments taking place. A mile of level, surfaced, traffic free roadways provides the perfect safe and secure training facility for cyclists of all ages at weekends. One and All Youth Cycling Academy, based nearby in Bissoe, use the site for training youngsters in basic riding skills whilst intermediates and Olympic hopefuls run speed trials and hone their race techniques and tactics on a closed circuit. The club has run, on average, 45 sessions a year on the site during which over 100 young people have benefitted from the traffic-free area to practise as beginners or develop cycle racing skills. In just their first four years of using the site, the club clocked up 7,200 hours of individual cycle training! Cornwall Woodturners Association came to site in 2008 when they found themselves without a venue for their classes and meetings. The company was able to offer the club use of an old loco repair shed destined ultimately for demolition for a peppercorn rent. Cornwall Butterfly and Moth Society (CBAMS) is a voluntary organisation whose aim is to protect and enhance the butterfly and moth population of Cornwall. We have recently signed an agreement with them as part of our ongoing efforts to protect and enhance the wildlife environment. The company provides occasional sponsorship to aspiring sports clubs and is currently supporting Carn Brea Storm Netball Club, Falmouth Junior Running Club and Truro City Swimming Club. We are delighted that our sponsorship for the Little Harbour Children’s Hospice South West as our chosen charity will continue into 2018.